Find out what your elected representatives have been up to on the issues that matter to you the most. Your query & location are used to search Congressional databases and news articles to provide a picture of how your legislators stand. Results are supplemented with useful, relevant topics and explanations relating to Congressional procedure and specific bills. 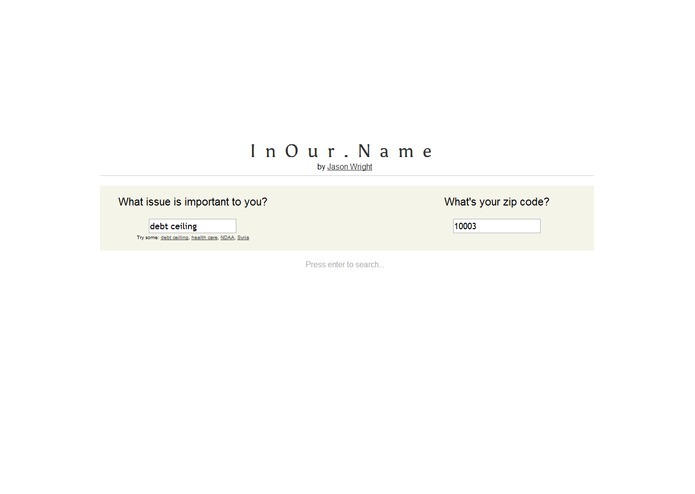 Quick contact info (Twitter, email, and phone) is included to make instant activism easy -- just a click away! 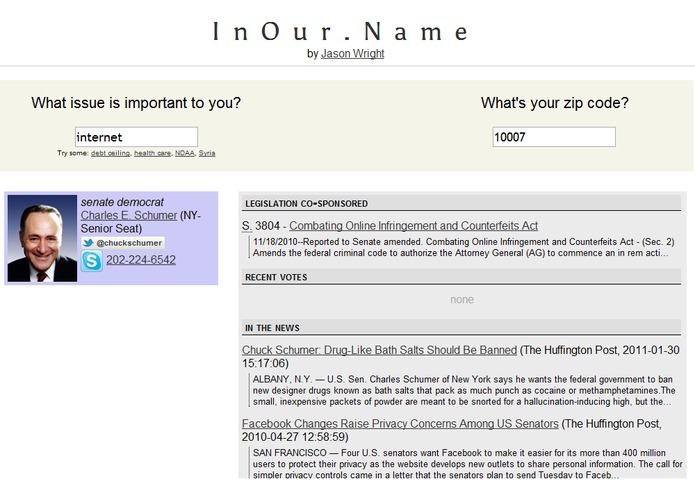 InOur.name offers users a completely new way of consuming information relating to their elected officials. It encourages accountability and facilitates transparency by making it easy for users to gain relevant information from multiple sources at once. 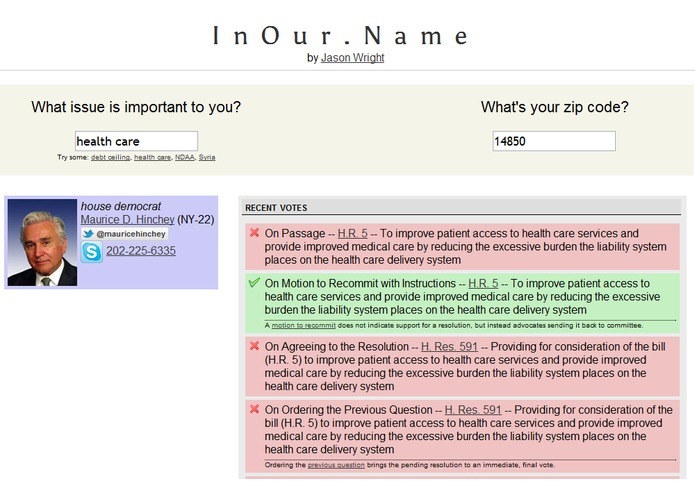 Uses data from the Sunlight Foundation, including RTC and OpenCongress, and the NewsCred API. Written in PHP, with some jQuery for AJAX calls. Developed solely by Jason Wright -- http://www.jpwright.net. 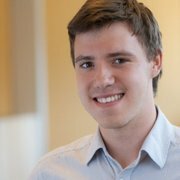 I'm a student at Cornell University and hackNY fellow.